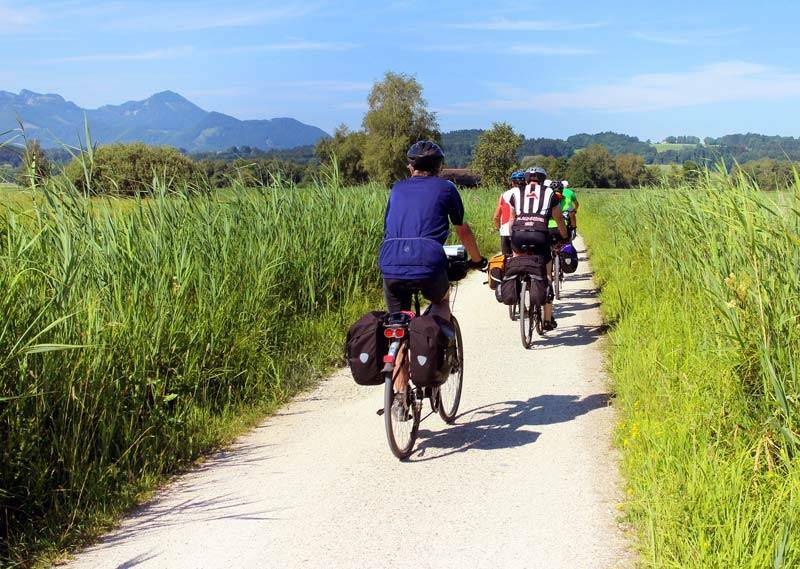 During holidays, to ride a bicycle is increasingly popoular both for sportspeople and tourists and familiesi because when you travel by bike you can do it slower and can fully appreciate the route. You will immerged into landscapes, you will breath the fragrances of nature, you will see many villages and you will meet other people. In short, holidays by bike are relaxing and funny and Otto Ducati d'Oro is ready to host the bike tourists. Turists that have chosen this travel arrangement are increasinging. 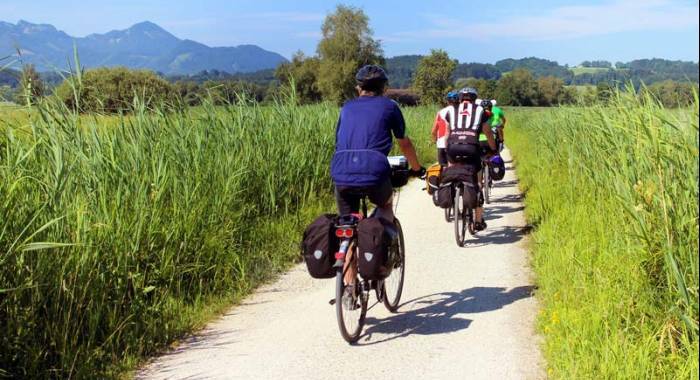 In Europe the monetary value of bike tourism amounts to EUR 44 billion and in Italy it is estimated to have a potential monetary value or EUR 3,2 billion. This is an economy in favour of each different territories and of the tourist accomodations which offer services for cycling travellers, like ours. Otto Ducati d'Oro country hotel b&b lies in a particularly favorable position for people who travel by bike: from Isola della Scala you can achieve some of the most famous cycle paths in Veneto. From Mantua (25 km from Isola della Scala), walking along Mincio River, you can come to Peschiera del Garda following the E6 – Cycle path of River Mincio or you can follow the BI2 – Cycle path of River Po that from the source of River arrives till its delta going through four regions. More, the BI1 – Cycle path of the Sun runs through the whole Italy. From Verona (20 km from Isola della Scala) you can chose if you want to go to the sea, following the I1 – From Lake Garda to Venice or towards Garda Lake, following the new path "Garda by bike" which has already applied to join the most beautiful European cycle paths. Furthermore, our guests can rent for free a bicycle in order to take a ride among the rice fields, reach the historical monuments or villages around Isola della Scala. This service is available on reservation, according to the availability of bicycles (we have got four). We are in contact with the Amici della Bici (Friends of the bicycle) of Isola della Scala, that hook uo to the FIAB Federazione Amici della Bicicletta (Federation of the Friends of the Bicycle), that promotes to use bicycle during the urban mobility and holidays. We invite you to viit the website, where you could find information, suggestions, paths and proposals for your bike tourism. We are an eco-friendly accomodation, so it's very important for us talking about "slow travels" and we believe that travel by bike is a really intense and pleasant experience that allow to deeply enjoy of places and travel emotions intended to become indelible memories.